I simply adore designer watches. But what I love even more is finding extremely exact looking fake watches at very affordable prices. And this isn’t all. The quality must be the best one available online. How do I find these ideal replica watches? That’s easy! I always do my homework when it comes to choosing the online store where I buy my knockoffs. For instance, today I came across FakeWatches.org and I just can’t wait to tell you all about it! FakeWatches.org has a pretty modern and neat design. 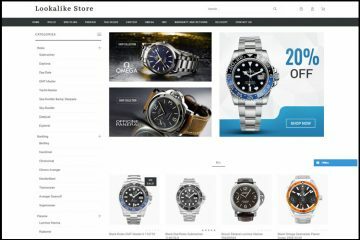 It is that type of website that mixes lively and interesting color effects with a compact and well organized layout where every piece of information has its well-chosen place- the minimalistic brands menu is located above a beautiful medium size sliding banner and below it we find the sponsored categories, such as Rolex, Breitling, Omega, Cartier and Audemars Piguet. Everything is very carefully designed and meant to fascinate our sight. This is definitely a very friendly and easy to use online site that allures you to immediately start browsing its wonderful replica watches collection. The main menu shows only 10 available brands, but these aren’t all the famous watch companies that you can buy from this store. Many others are displayed after you click on one of the buttons from the top menu bar. The complete list is shown in the left side of the page and it ranges from Rolex, Breitling and Bell&Ross to Burberry, Movado and Ferrari. The products are organized into sub-categories that have the same name as the original collections. This eases very much the process of finding the desired replica watch. There is no advanced search bar, but the selection is not that wide. For example, the Rolex Daytona sub-category includes only 57 models so, clearly, it isn’t that difficult to browse through the entire collection. 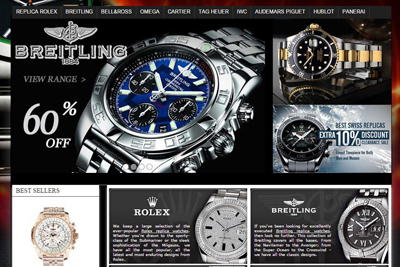 The company sells replica watches equipped with both Swiss and Japanese mechanisms. The fake timepieces that have a Japanese movement cost about $100-$200 while the ones that have an ETA Swiss mechanism cost $250-$450 depending on the complexity of the inside movement and the materials used for its designs, such as gold plating, gems or cubic zirconium. The pictures used by FakeWatches.org for presenting its watches aren’t that flattering. The main issue with these photos is that they seem to be copied from different catalogs. Some have a white background, some have a gray one and others have a colorful one. The quality and number of the images available for each replica watch are also different. And all these inconsistencies show that the merchant is unable to provide professional photos of its merchandise. Is this because it doesn’t stock all these replica watches or because the knockoffs it sells are way different than what is shown in the pictures? There are both good and bad things about the payment options accepted by FakeWatches.org. The really neat ones are the fact that it accepts three of the most used credit card types- Visa, Mastercard and JCB. 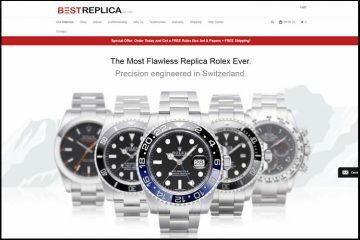 Most replica watches online stores accept only Visa or Visa and Mastercard. But a website with three supported card types is something truly exceptional. The bad thing about its payment options is that it does not have alternatives to card payments. Western Union, Bank Wire and Money Gram aren’t mentioned on the website. The store is able to deliver packages all around the world and the delivery fees do not depend on the destination country, but on the type of shipping method you choose. Having your package delivered by EMS implies a $20 shipping cost and the estimated delivery time is about 7-14 business days. A tracking number is provided. But if you want to get your order quicker, you can opt for DHL. In which case, the replica watch will arrive in about 3-7 business days and you will pay a $35 shipping fee. I hate the fact that the website does not have a section for presenting its return policy. I have browsed its entire content and did not find any mentions of its guarantee or repairs warranty. This makes me doubt that it is a professional and trustworthy company. 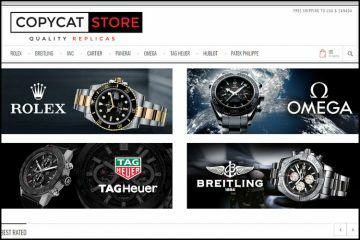 Usually, this kind of information is always presented on the site with rich details so that any potential customer can understand what are the guarantees and risks associated with every replica watch purchase he places. Unfortunately FakeWatches.org that does not have a contact phone number, chat or email address available. 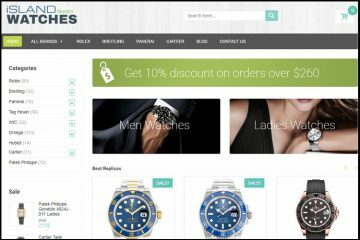 FakeWatches.org is a fake watches online site that has a very diversified and beautiful selection of designer models at very fair prices, delivers packages worldwide and accepts some of the most preferred credit card types. This website has been shut down by US court order. Good luck if you have an order placed. This place isn’t very up to date. The should do some self reflecting when commenting on others sites.